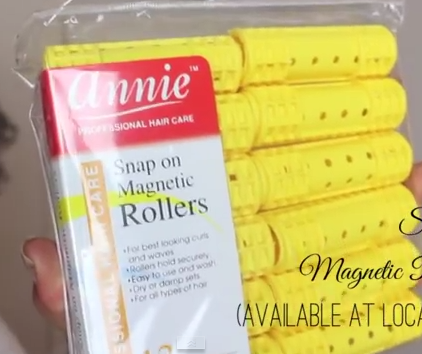 Magnetic rollers are usually the roller of choice when setting hair in a roller set. For relaxed, blow dried and flat iron hair that often leaves hair with big bouncy curls but what about on natural hair without heat? 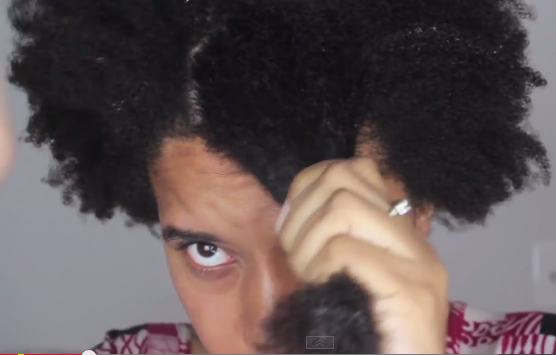 What about on highly textured, type 4 (4C) natural hair? I tried out magnetic rollers on my hair and it’s one of my favorite tutorials. Magnetic rollers are great as they have no combs or teeth on them and they still if properly installed can leave any texture of hair with smoothed out curls that are full of body. The key is to detangle, detangle, detangle. Any time you want a smoothed out hair style, no matter your hair texture or type, you want to all the way detangle your hair and most of the time, unless you have the patience of several saints, that’s going to require a fine tooth comb or denman brush. You are free to do this style without using combs but it will come out puffier and less smooth. All depends on the finished look that you desire. This style is best done on damp to dry hair. As far as products, just stay away from glycerin heavy moisturizers and heavy butters. Go for creams that are light and fluffy to moisturize and if you have super dry hair start with a water based leave-in. Detangle by lightly spritzing the hair with the leave-in or just water itself. Do NOT soak your hair. Once a section of hair is fully detangled simply pull it taunt and roll into the roller and secure it with the snap-on top. Magnetic rollers aren’t really ‘magnetic’, rather the top that secures it on snaps on over the rollers. The smaller the sections the quicker you hair will hair dry. That’s always the rule of thumb. For the size I did in the video, which is smedium, it took about 6 hours for my hair to dry. This is why it’s imperative to do it on damp to dry hair. If you hair is anything more than slightly damp it will take a few days for your hair to dry and it’s still no guarantee. Ain’t nobody got time for that! Watch the video tutorial for to get the style on how to style your natural hair with snap-on magnetic rollers. Have you tried this style? Be sure to tweet us or leave your pic on our Facebook page!